Figured I’d reminisce on Maui as I struggle to move through this lackluster “Hump Day”……..Betty, Betty,…..why’d ya’ HURT me sooooo- gooood????! 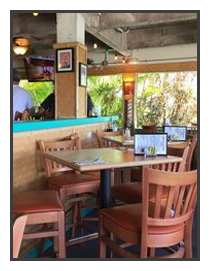 Thinking back, it was Guest Services at the Westin Hotel & Resort that recommended Betty’s Beach Café when we inquired on some place tranquil, boasting ocean front views to better remember Lahaina by – prior to departing back for the mainland a few days later. Located on the somewhat “touristy” yet trendy Front Street, sits this gem of a joint and we were able to walk directly in, void of reservations; something I considered to definitely be worth a few stars! THIS PLACE HAS GOTTTT TO HAVE THE BEST VIEW ON THE ISLAND!!! AndBetty’s Beach Café boasts lots of great drink specials at really reasonable prices, so we quickly became regulars! 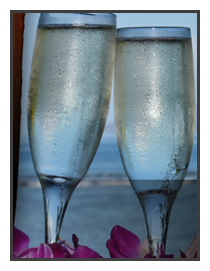 The atmosphere is great too – a tiki/beach club vibe that’s casual enough to be comfortable, but classy enough for a romantic dinner with your significant other! The offer lots of great deals – live Maine Lobster on Wednesdays for $16.95 (wow!!! ), a Prime Rib Dinner for $19.95 on Fridays after 4:00pm, and $2 Glass of Champagne during their Saturday and Sunday Brunch. The customer service was Grade A+ and did I mention the VIEWS?????? Just gorgeous! So, what’s good, you ask??? Well, what isn’t?……The ceviche was spot on!…..Margaritas didn’t let us down!….and the wings bonafide!!! For any travelers, in search of the TRUE Maui experience, add this one to your list of Must Do On Maui! We loved it, and went back again and again because the prices were so reasonable and the service was spot on. Betty……I miss you already! Check out Betty’s Beach Café online at BettysBeachCafe.com, or give ‘em a ring at 808-662-0300.